Does this sound like some of the “fan” mail you receive the week after you have pushed the envelope in worship with some new worship songs? This was written by a pastor in 1723 attacking Isaac Watts, the writer of great hymns like When I Survey the Wondrous Cross, Joy to the World, and O God, Our Help in Ages Past. What causes fights and quarrels among you? Don’t they come from your desires that battle with you? When the Gregorian Chant became the official music of the church, it was characterized by a single monophonic unaccompanied melody sung only by men. Later young boys with unchanged voices started singing with the men but their voices were displaced by an octave. There were many who objected. Later harmony was added to the music of the church but many were against it. When Luther started writing hymns for the church in 1517 there was a great revolt. In 1540 Calvin stated that only the Old Testament Psalms sung in a metrical rhythm were appropriate for worship (The Genevan Psalter). This caused great division among the church between Calvin’s followers and Luther’s. Near 1750 the Wesley brothers wrote hymns that taught theology and doctrine. It again caused great struggle among church leaders. The music of the 1880’s Sunday School Era was looked down on by many because the hymns and testimony songs being written were subjective (personal) and not objective (directed toward God). Many thought there was no room for music like that in the church. Jazz influences of the early twentieth century brought out an edict from the Pope that the piano was forbidden in the Catholic church, because of its worldly influences. Soon after came the Jesus movement with drums, bass, guitars, and other instruments. Choruses and praise songs were following close behind and all of it was hotly debated in the church. 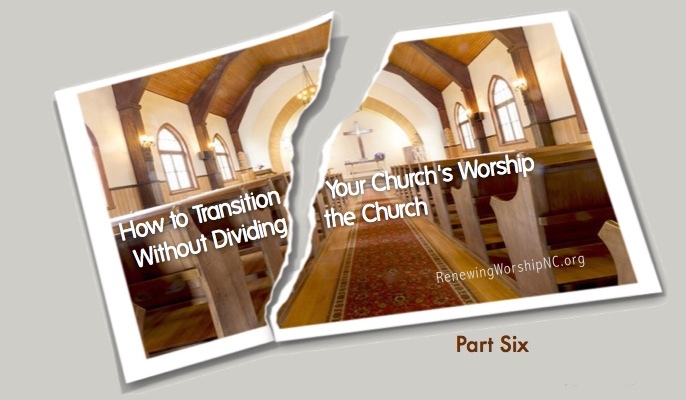 Over the years, there have been church and denominational splits, personal strife, and relationships broken causing those in the church to bitterly quarrel and those outside the church to look at the church with contempt. The list can go on and on describing conflict over the years. 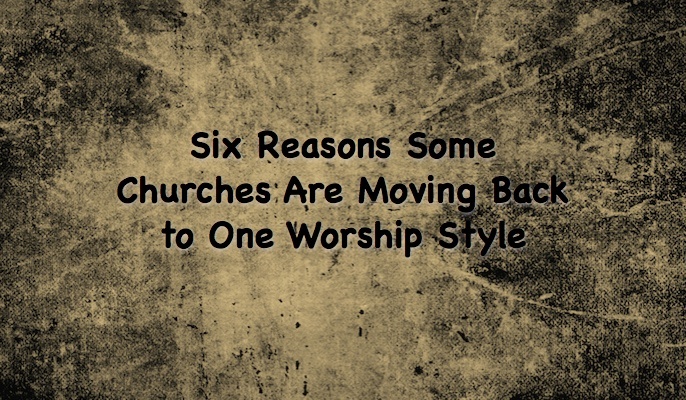 In the next few weeks, we are going to dive head on into a discussion of styles of worship. Won’t you join me? As there is no time in heaven, would there be a beat or timing to any music. If so then to consider the question of what music does God like….. Does he like any of our music or would He prefer music without a beat. I don’t know either, just asking. I have been in worship meetings where some have been singing in the Spirit (Holy Spirit) it was awesome, moving and very spiritual. No words just a hum like tune just beautiful. Nearest I could describe it to would be like a whales call (no disrespect intended) in structure but so much better, without beat or time just flowing smooth. It touched a “chord” in me! God does not need our worship to be God. Worship is when we climb on His knee and snuggle close and whisper “Abba Father” and He cuddles and holds us close. In a hilarious lecture I attended, he said that traditional music has the accent on the down beat, like in hymns, marches etc. while contemporary music has the accent on the up beat. jazz, rock etc. Generally, those born before World War II prefer traditional music with down beats and those born after WWII prefer contemporary music with up-beats. It was shortly after the war that jazz and eventually, rock came on the American scene. So it seems that people pretty much prefer what the grew up on. I find this definition useful because it explains why some people prefer “traditional” music and others prefer “contemporary.” Each group can do the other kind of music (It was funny when Tex, being pre WWII, tried to illustrate up-beat music. He had trouble getting the accent on the off-beat, and he admitted it), but they p-r-e-f-e-r to do the music they were brought up on. By this definition a song could be 30 years old but still be contemporary and a hymn composed yesterday could be considered traditional. By this definition, hymns could be contemporized by shifting the accent to the off beat. And I suppose, upbeat songs could be traditionalized by making them “square.” (“Though why you would want to is beyond me,” said he who was born after WWII. I have my preferences too). And again, most importantly, it explains why some people prefer traditional while others prefer contemporary. I have indeed read them all – thanks for your efforts in writing them, Kenny, and more still for your pursuit of God over many years that gave you the experience to write them in the first place. I think Don’s question (two posts above) re Biblical guidance on what God likes is the most important one we could ask on the subject. 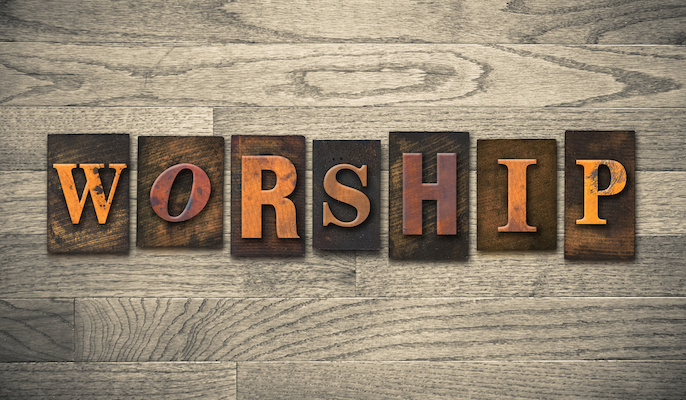 A lot of folk say things like “worship should be all about God” – no disrespect, but what does that actually mean? One could spend an hour in empty gnostic conjecture that’s “all about God”. But if I understand anything about worship, simply asking question “what does God like” is the beginning of real worship. May I humbly quote a scripture (to people who know it just as well as I do)? The true worshippers will worship the Father in spirit and in truth, for they are the kind of worshippers the Father seeks. To answer Don’s other question (will everyone be dissatisfied with a blended style) – in my experience, if you have a group of people with an opinion on what style of worship is “correct”, then yes, you’ll always have dissatisfied people. They’re focused on externals, so – forgive my bluntness – they’re not following the Holy Spirit. Style is a visible, definable thing, which spirit and truth are not. Likewise, wherever you have people in church expecting to be fed from the front, you’ll have dissatisfied people. The thing is, though, that if you have a room full of worshippers, who have come to contribute, you’ll find that style simply doesn’t matter. And by the way, those who’ve been in this kind of setting will realise that I’m not saying don’t practice or prepare. Provided that you take time to build relationship in the room; if it is clear that all worshippers are welcome; and space exists for all to express exactly what is in them to the Father (and boy, is that a big subject, since we’re all much more different than we often realise); then you have worship, with or without instruments, projectors, or even lyrics. One definition of a worship leader is: someone who can worship in public without prompting or props. Since everything bears fruit after its kind, a true worship leader will eventually produce other worship leaders. A meeting full of worship leaders, paradoxically, is the one place there’ll never be a battle for control, because everyone is attentive to the leading of the Holy Spirit (and He knows what He’s doing!). Thanks for your great comments. Well said! I am looking forward to your series on worship wars. Our church is in the middle of this struggle. Most of the descussion I hear comes down to personal preferences – what individuals like. Is there any Biblical guidance on what God likes? I am particularly intrested in knowing if a blended style will work, or will everyone be dissatisified? Thanks for any insights. I have been amazed at the number of hits on this series. Be sure to read all 10 articles to get the full impact of the posts. You are not alone in the struggle. Churches across our nation and the world are facing similar struggles. Feel free to email me or comment further here after you have read the 10 posts on worship wars if you have further questions of concerns. Thanks for reading. All the articles can be accessed from this page. Be sure to work through them in order for best results. The most valuable conversations concerning worship in any Church purposefully exclude any reference to personal preference. Worship gatherings should be invitations to come and be satisfied by the presence of Christ, not gatherings in which we are satisfied by music. Thanks for the information. I spent a good deal of time researching the validity of this quote before publishing it. I found the material quoted in many sources, but could not find anything that negated its authenticity. 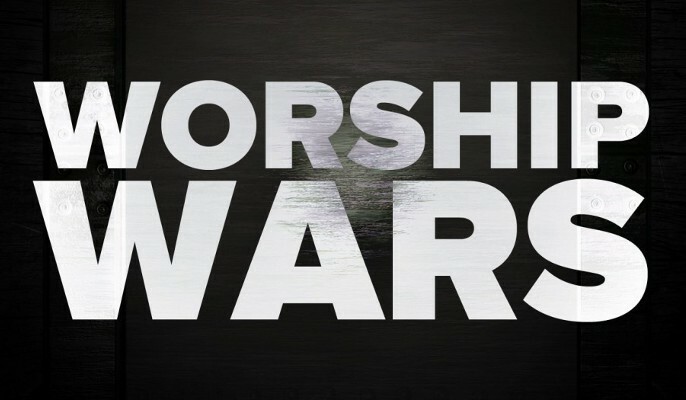 While this new information certainly calls into question the accuracy of the quote and its origins, the issue of worship wars waging through most of Christian history is nevertheless not at all lessened. I appreciate your bringing this to our attention. The above list is from “Worship: Together We Celebrate” Leslie B Flynn ….p.75. “Good day; I would like to call attention to an entry posted on your husband’s blog on March 17th: “What’s Wrong with Modern Church Music?” With great respect to Mr. Brown, the anecdote is false. The words are from a fictional pamphlet, written by Pastor Thomas Symmes of Manhattan in 1723. (Dr. Watts’ verses would not even be published in America until 1729). Symmes is actually portraying a church-goer who does not want try a “new trend” in worship: that is, learning to read music. The pamphlet, titled Utile Dulce, is a made-up conversation between a puritan pastor and his “neighbor.” They discuss the current state of worship, which were songs that were repetitive and easy to memorize, since most of the church was illiterate. Now that a new generation was learning how to read, the pastor wants to introduce written music into the service. The music would help the church learn new songs, and, for the first time, they could actually read what they were singing about. He hoped it would edify and revitalize worship. (1) That it is a New Way, an Unknown Tongue. (2) That it is not so Melodious as the Usual Way. (3) That there are so many Tunes, we shall never have done learning. (4) That the Practice of it give Disturbance; Roils & Exasperates men’s Spirits; grieves sundry good People, and causes them to behave themselves indecently & disorderly. (5) That is Quakerish & Popish, and introductive of Instrumental Musick. (6) That the Names given to the Notes are Bawdy, yea Blasphemous. (7) That it is a Needless way, since their good Fathers that were Strangers to it, are got to Heaven without it. The reasons are ridiculous because Symmes meant for them to sound that way. His point was: there really is no excuse for us to not be pursuing excellence and skill in our worship, always for the glory of God. It’s good to be reminded there’s nothing new under the sun. The letter attacking Isaac Watts is a great illustration… I didn’t expect that to be the subject of the attacks—I was sure it was something much more recent.